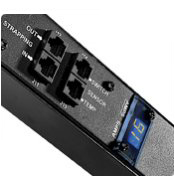 Switched PDUs are not the average plug strip. Apart from delivering power safely to servers at appropriate voltages, Switched power distribution units have many additional functions that can help data center managers improve the reliability and efficiency of their IT infrastructure. Typical PDUs provide upstream power to downstream infrastructure while lowering current and voltage to acceptable levels and protecting against electrical spikes. Rack switched PDUs perform the same functions, but allow data center managers to monitor and control each individual power outlet remotely. This not only helps companies reduce downtime, it allows them to save time and money. Call or order your switched plug strips online to help your business.